Like it is in early spring, color is much more appreciated in late fall than it is in the height of summer. 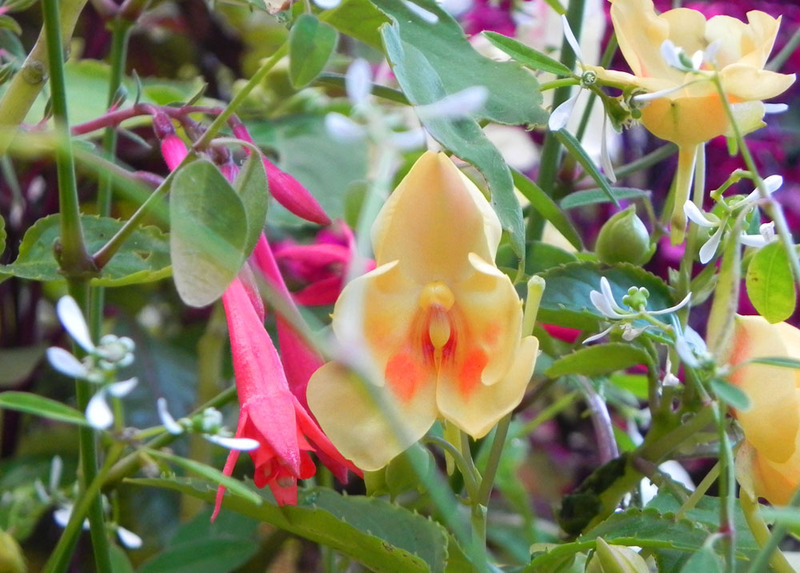 Impatiens 'Fusion Glow Yellow' from Ball Horticulture has ramped up its blooms in the cooler weather along with Euphorbia 'Diamond Frost' and an upright Fucshia. A colorful stand-by that starts the autumn show is Aster 'Purple Dome', one of the easiest to grow and the showiest. This photo belies its deep purple color, making it a very welcome mixer with anything it's combined with. It tends to go bald on its lower stems, so I like to plant it amidst perennial Geranium, whose foliage disguises the flaw. 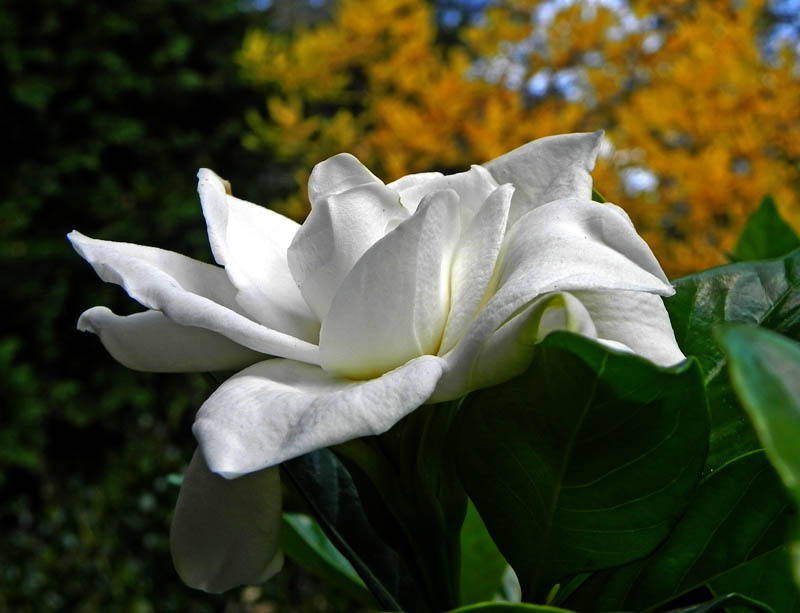 Gardenia ﻿'Miami Supreme' offers a few sporadic blooms, which look even more enchanting with a backdrop of Chionanthus virginicus in its golden fall color. 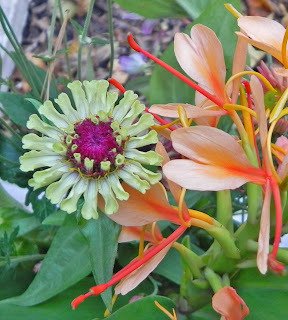 Zinnia 'Queen Red Lime' enjoys a visit with Hedychium 'Anne Bishop', both cut to enjoy indoors before they're cut down by frost. 'Queen Red Lime' is more lime than red in the cooler temperatures, but nonetheless a gorgeous Zinnia. Before the leaves from the giant pin oaks obscure what's left of the garden, I've come to cherish the flowers and foliage that remain. Meanwhile my "strong back with a malleable mind," husband is limbering up his back for the day the big potted tropicals are moved inside. 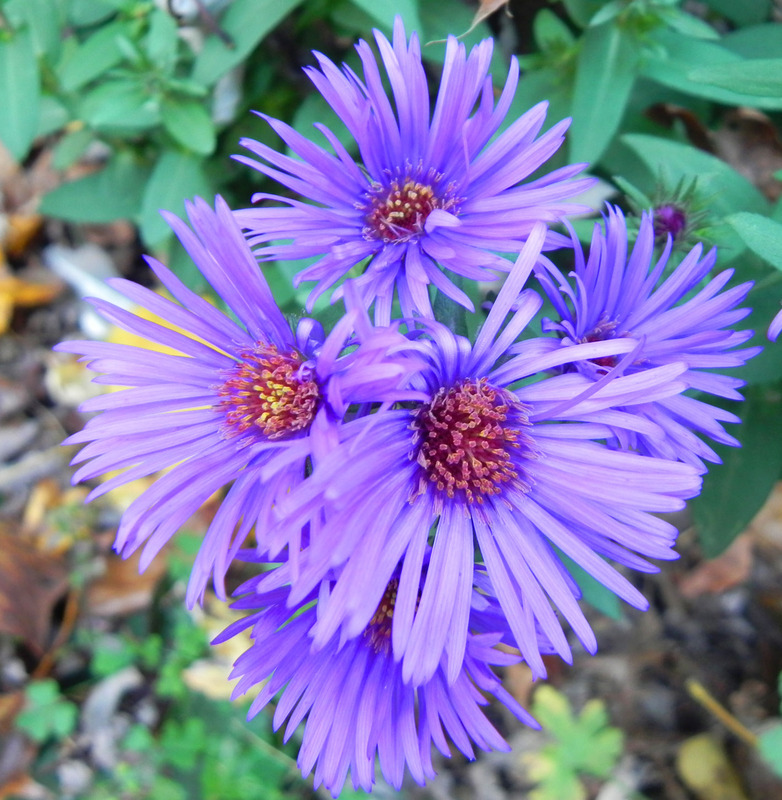 Beautiful post...LOVE the Aster! 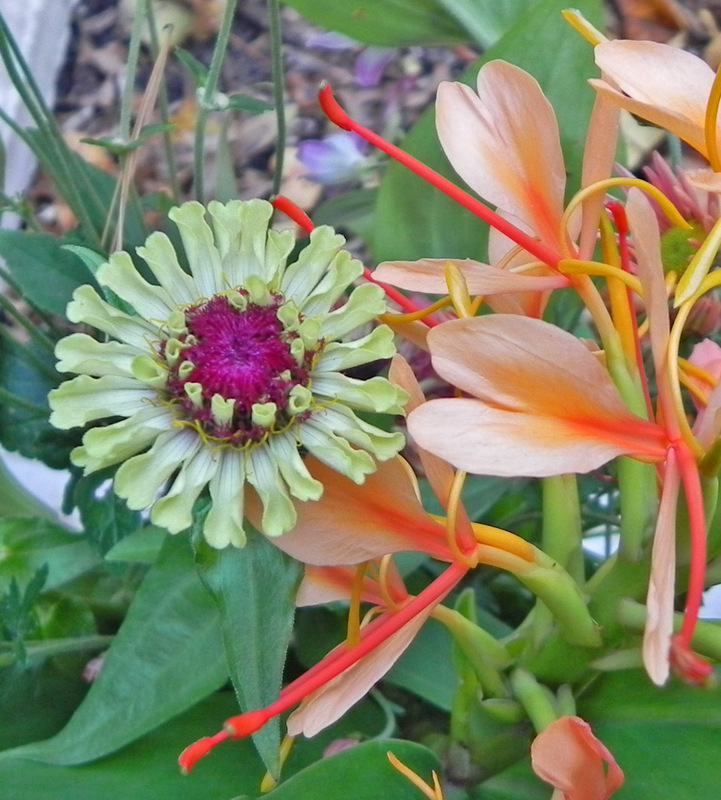 That Zinnia is so eye-catching...quite the color combo!